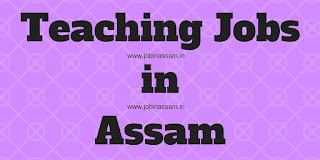 If you are searching for a teacher job in Assam, then Anundoram Borooah Academy, Pathsala Recruitment will fulfill your dream. Anundoram Borooah Academy has invited applications for the post of Assistant Teachers for various subjects from the eligible candidates. For complete details of the teacher recruitment under Anundoram Borooah Academy, please read the post till the end. I have discussed complete details of posts, eligibility conditions and other criteria here. Anundoram Borooah Academy is the most important educational institution in Pathsala. Quality of teaching is also better than most of the schools in Pathsala. B.A. I B.Sc. Preference will be given to the candidates having M.A. / M.Sc. / B.Ed. / M.Ed. / D.EI.Ed./ TET and fluency in English. Send the application by registered post. The date and time of inter-view will be intimated later on. No TA & DA will be admissible.